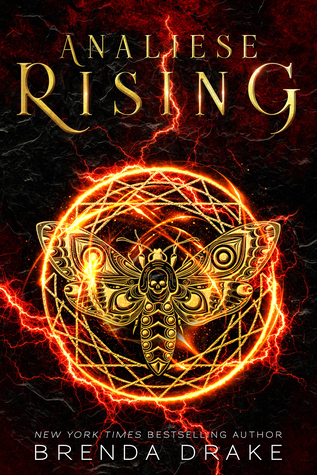 ANALIESE RISING is a mix of mythology and The Da Vinci Code in YA form. There's constant danger, puzzles to solve, and the characters travel to Rome and then France as they go from one clue to another. Add a romance and characters with powers in the mix and you have this story. - I thought the various puzzles were interesting, as the characters had to work through and decode messages to find where they needed to go next. - I liked the main characters, overall. There was an instant attraction between them, but they resisted in the beginning. - I also liked seeing how their childhood trained them for what they faced. - I liked some of the side characters, like Lugh. I also thought all the different mythologies and how the different gods and goddesses had different powers or specialties was interesting. - The overall plot was unique and intriguing... with there being those who had specific powers to fight against the gods and theirs, or to keep them in check. - I liked the idea of a school to train these kids with powers. - I felt like the puzzle solving went on too long. - Some things didn't make sense to me in how the gods were all powerful and at the same time weren't. An example would be Ares appearing and disappearing at will, but somehow losing Annaliese and Marek. I felt like it all needed to be more consistent. - I wish the romance hadn't taken over so much of the story, especially with this being a series. I prefer things to develop over more time. - I got a little annoyed with Annaliese and her thinking/actions sometimes. She references Marek's grandfather as a serial killer after she knows about the gods and goddesses. Then she gets worried about some things and some people at moments that didn't fit or make sense to me under the situation. - There were other things too that just didn't logically work for me. In the end, was it what I wished for? This was definitely an adventure. It stretched too long for me and I did have some issues, but otherwise enjoyed the read. Content: Swearing (a lot of s-words), gay characters (for those sensitive to that), and some violence. 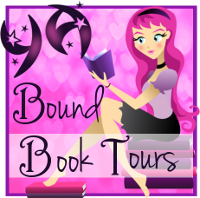 Source: I received an eARC from the publisher through YA Bound Book Tours, which did not require a positive review nor affect it in any way. Is this one on your list? Any thoughts about my review?